Many people only remember to exercise their core muscles when they start preparing for the summer, not realizing just how much they can benefit from a strong core in their everyday life. Of course, if looking good at the beach is important to you, you must exercise your core, but there are many more benefits of regularly doing exercises for your midsection. 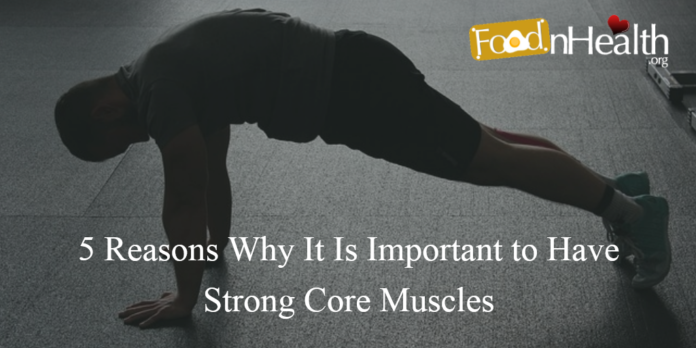 Here are just some of the most important pros which a strong core can bring you. Take a look. Back pain, especially in the lower back, affects a great number of people today. This is mostly due to our sedentary way of life – we sit in front of computers during the day and come home to our soft couches in the evening. These back problems may be eliminated with exercises that make your core strong and well-balanced. Doctors often prescribe core exercises to people with lower back pain as they help tremendously. Once you learn how to engage your midsection and develop strong core muscles, there’s a big chance your back pain will go away forever. If you’re hitting the gym every day and not engaging your core muscles, you risk injuring yourself. A weak core can do you damage, and not only in the gym. You might get injured while moving some furniture, doing some work in your garden, picking up a package, putting your shoes on or simply sitting behind a desk – unless you have a well- trained core to protect you from any type of injury. Maybe you didn’t notice, but all those everyday actions involve your core and they can become painful to do unless you keep your midsection strong. So, if you want to prevent any sort of injury, concentrate on your core during the autumn and winter too. The core has an important role in your balance and stability. In order to have a good posture, muscles in your pelvis, hips, lower back, abdomen and many others must work in perfect harmony and you can thank your core for that. If you want to excel in any sport or any activity, stability and balance are crucial. All that is achieved by regular core exercises. If you see a person slouching, you can safely assume that they have weak core muscles. A good posture does not only makes you look slimmer and feel more confident, it also eases pressure on the spine and allows you to breathe properly. Also, if you have a good posture, your workouts will be more effective and you will end up having a nice and proportional body. In order to have a good and effective fitness program, you cannot only concentrate on cardio and lifting, but you need core exercises as well. A good thing is that you don’t need any specialized equipment to exercise your core, some good gym wear and some space are enough. 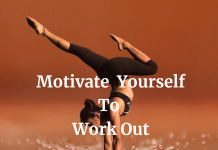 So, incorporate some midsection exercises in your everyday routine, and then you will have a balanced fitness program that guarantees best results. Even though it’s extremely important to have strong abdominal muscles to have a strong core, you shouldn’t concentrate all your exercises only on that part. An imbalanced core is as bad for you as a weak core. If you only do abs and neglect your back and hip muscles, you can set yourself up for an injury or lessen your performance in all fields of your life. If you want to have chiseled abs, exercise your abdominals together with your whole core. Here you have it, all the benefits of a strong core, so what are you waiting for? No matter if you’re an aspiring athlete, occasional gym-goer or someone who suffers from back pain, core exercises can only improve your life and performance, so there are no excuses. Start working your core today and reap the fruits of your labor your whole life.